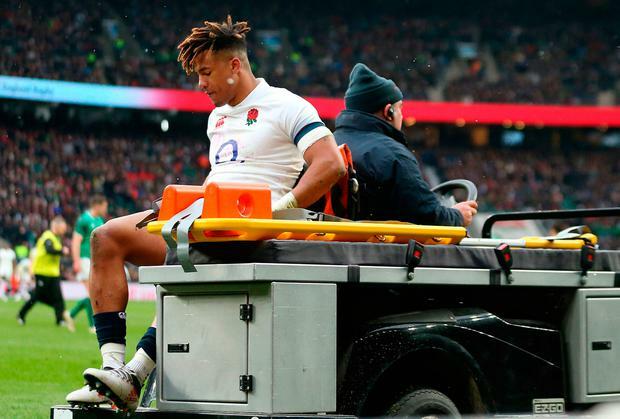 English rugby must address the "taboo" subject of central contracts and consider copying the Irish model of tying players to the RFU following their dismal Six Nations campaign, according to players’ chief Damian Hopley. Eddie Jones' side finished fifth in the NatWest Six Nations Championship with many of England's British & Irish Lions players looking exhausted having played more than double the amount of club rugby than Ireland's Grand Slam champions. Ireland, Wales and Scotland, who finished first, second and third respectively, all use a form of central contracts and Hopley believes England must now consider following suit. "In all these discussions around ring-fencing and season structure, you have to throw central contracts in there as well," Hopley, the Rugby Players’ Association chief executive, told Telegraph Sport. "It is a huge taboo within English rugby and this is not the decry what the English clubs have done because without their investment the game would be decimated. When you look at the Irish and New Zealand models you have to say that it is working at international level so is that the answer? It may not be but you need to have these discussions in a mature and enlightened way rather than an arms-folded, let's have a fight manner." Under the English model, the RFU effectively pays the Premiership clubs to release players called up for the national team under the terms of the Professional Game Agreement, which runs until 2024. The advantage of central contracts is that it allows unions to control its players' workload and grant longer rest periods. While nine of England's Lions players started their season in the first weekend of September, the majority of Ireland's contingent enjoyed an extra four weeks off. Owen Farrell, the England fly-half, has played 1084 minutes for Saracens this season, more than double the 435 minutes his Irish counterpart Jonathan Sexton has played for Leinster. On Monday evening it was confirmed that Bath's Anthony Watson, the Lion who has played the most minutes of club rugby this season, will miss the remainder of the campaign with an Achilles injury sustained during the 24-15 defeat to Ireland. Jones, who is contemplating resting some of his Lions players for the summer tour to South Africa, has claimed that his squad's fitness levels are higher than ever this year according to GPS data. However, England captain Lewis Moody is adamant that it is plan that they look sluggish. "You can have all the stats in the world but sometimes you need to look at the performances subjectively and say they are out on their feet," Moody said. "There was no lack of effort in any of the games that England have played. They were just lacking the same energy, the same zip that they had last year. "A Lions tour is a special thing but it takes so much out of you. The last time England lost three in a row in the Six Nations was in 2006 coming after the 2005 tour, which isn't a coincidence." A similar observation was made by Steve Hansen, the New Zealand head coach, who says there is a clear difference between the energy levels of the English and Irish players. "They (Ireland) have got central contracting which allows them to maybe have a bit more control over playing time and playing welfare than the countries where they don't have that luxury," Hansen told BBC Radio 5 Live's Sportsweek programme. "You see the result of that. Guys are coming out and even though they've been on the Lions tour, the same tour that the English boys have been on, they've had the opportunity to rest up and be mentally and emotionally and physically able to go out and play good Test rugby." Both the RFU and Premiership Rugby are adamant that the introduction of central contracts would be a non-starter in the short term. "We are only 18 months into the new eight-year Professional Game Agreement which is a binding partnership between club and country, and is not based on the central contract model," an RFU spokeswoman said. However, Hopley believes that the discussions need to take place straight away. "We are notoriously bad at waiting for problems to arise rather planning ahead," Hopley said. "English rugby is not just about the English national team. It is not about taking from one part of the game to give to another, but finding a solution that works for everyone. "You have got an inbuilt paradox where you are trying to get players to peak for nine games in the autumn and Six Nations and then peak for the clubs in between. There is a lot of talk about player welfare but when you speak to the guys on the coalface maybe that is not always a shared view." Hopley also reiterated his claim that Premiership Rugby’s proposal to extend the domestic season to ten months has failed. "The two-month extension is absolutely dead," Hopley said. "That was always pie in the sky." Ring-fencing the Premiership does remain an active discussion ahead of the next meeting of the Professional Game Board in April. But even the principle of central contracts is likely to receive a hostile reception from club owners such as Exeter Chiefs chairman Tony Rowe. "The RFU struggle to find the money to pay for the players they use and abuse once a year anyway," Rowe said. "Central contracts sound great, but you can’t just cherry-pick the best players. If they want to contract our players, they would need to contract all of them so I would like to see where they are going to get money for that from."